Closeouts. Be tough on the job, not on your hands. 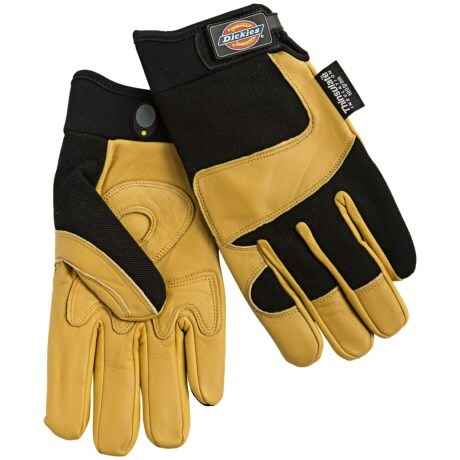 Dickies’ Tough Task goatskin gloves protect your mitts with supple, full-grain goat leather that’s reinforced at the palms and low-bulk 100g Thinsulate® insulation for warmth.